Have you ever asked for help or wondering how to retrieve your own deleted messages on your Samsung device that you have deleted by careless? Many Samsung users may think it is impossible to recover and read deleted text messages on their mobiles. As a matter of fact, no matter how you get your contacts and text messages lost, you can still access them and even recover them back, as long as you have saved new data to overwrite them. 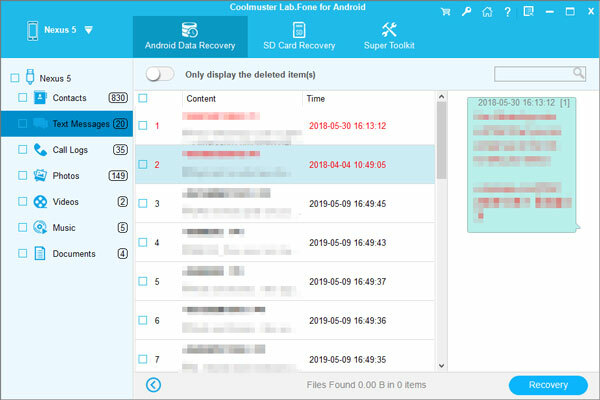 With a Android SMS recovery tool like the Coolmuster Lab.Fone for Android, you can access the deleted text messages and contacts from Samsung, and recover them back with free-risk and without hassle. This program applies to all currently popular Samsung Galaxy smartphones: Samsung Galaxy S7/S7 edge, Samsung Galaxy S6/S6 edge, Samsung Galaxy S5, Samsung Galaxy Note 7/6/5/4 and more. 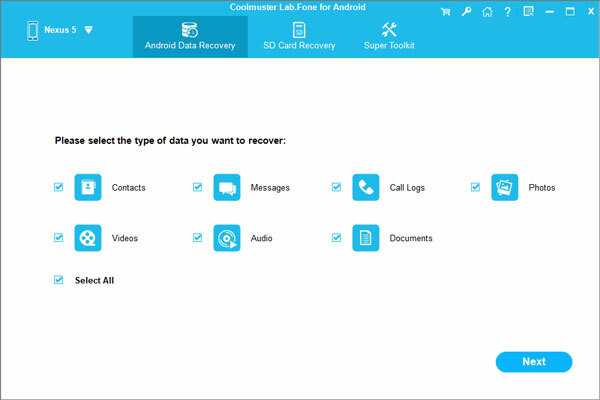 What's more, this Android data recovery software also enable you get back deleted photos, videos, call logs, documents and other files from Samsung phone or table. Next, please follow us to learn about how to recover the lost or deleted contacts and SMS from Samsung Galaxy smart phone. Just download the free trial version below to get started. How to Access Deleted Contacts/Text Messages on Samsung? Note: To recover lost contacts and text messages from Android phone, you need to root your Android phone first. Choose "Contacts" and "Messages" categories from the main interface and the program will just scan all existing and deleted contacts and text messages on your Samsung phone. Click "Only show the deleted items" if you only want to read the deleted files. Preview and select those deleted contacts and text messages you want to restore and click the "Recover" button to save the recovered Android contacts and text messages as HTML files on your computer.